Recently on display at the Tamashii Nations 2015 fall event, we now have confirmed release details for the S.H. Figuarts Kabuto Extender! A follow up release for last years’ Shinkochu Seihou Kamen Rider Kabuto, the Kabuto Extender is looking sharp. 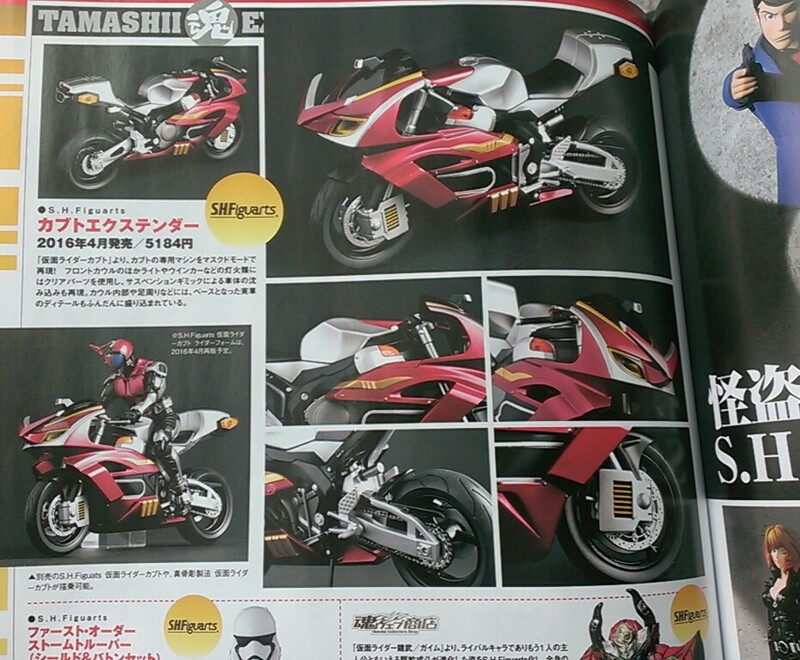 The original Kamen Rider Kabuto figuart was on the market for a number of years without a bike so it’s nice to see the redo finally getting his ride. No accessories are confirmed at the time of this writing but its like the Kabuto Extender will include at least a wheel base, it will obviously be non-transforming as well. S.H. Figuarts Kabuto Extender will be released in April 2016 for 5184 yen. First seen on display at the recent Tamashii Nations 2015 fall event. Cool! I can't remember the last time there were two toku-related items I wanted to order from the same Tamashii drop, with this & Ghost. I'm so glad past series like Kabuto and Ryuki aren't forgotten. We have Dragranzer, Darkraider, SS Gatack, and now the Kabuto Extender coming soon. 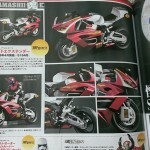 Finger cross for a SS Kabuto reissue to go along with the bike. Oh lawdy, lawdy. I wish this too. I would love for a re-issue of SS Kabuto. Looks great! Been hoping for this ever since SS Kabuto came out so it's nice to finally be getting it. All times are GMT -4. The time now is 4:48 PM.